When a driver is facing a DWI charge (Driving While Intoxicated), they may also face serious consequences. A DWI charge may be given if a driver’s blood alcohol concentration (BAC) is over the legal limit of 0.08%. A law enforcement officer can determine a driver’s BAC through a Breathalyzer or an Alcotest. There are some cases in which a driver is found with a BAC that is significantly higher than the legal limit. When this happens, the driver may receive a different charge than a regular DWI. If a driver is found with a BAC over 0.10% they may be charged with a High BAC DWI. 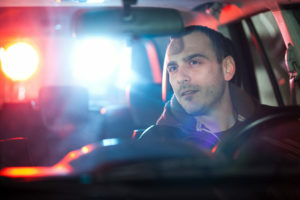 Courts and law enforcement officers in New Jersey are strict in penalizing those who drive while intoxicated. These charges and their penalties may intensify for drivers with a High BAC DWI charge. The state of New Jersey does not issue hardship license to any drivers. A hardship license may be issued in certain states after the suspension of a regular license. It allows people to continue to drive under certain circumstances. A driver charged of a High BAC DWI in the state of New Jersey cannot request this license under any circumstances. A lawful stop: A police officer must have probable cause for stopping a driver on the road. If they did not, the arrest may be unlawful and the evidence from the stop may be thrown out of court. Field sobriety tests: In order to determine if a driver is under the influence, an officer may conduct sobriety tests. These tests must be administered with the correct guidelines. If they are not, evidence may be inadmissible in court. A breath test: When a driver is pulled over for a suspected DWI, a breath test cannot be administered right away. The officer must conduct an assessment of the driver’s condition for at least 20 minutes before administering the test. If you have been charged with aggravated driving while intoxicated and wish to speak with an experienced attorney, contact The Law Office of Andrew S. Maze today.